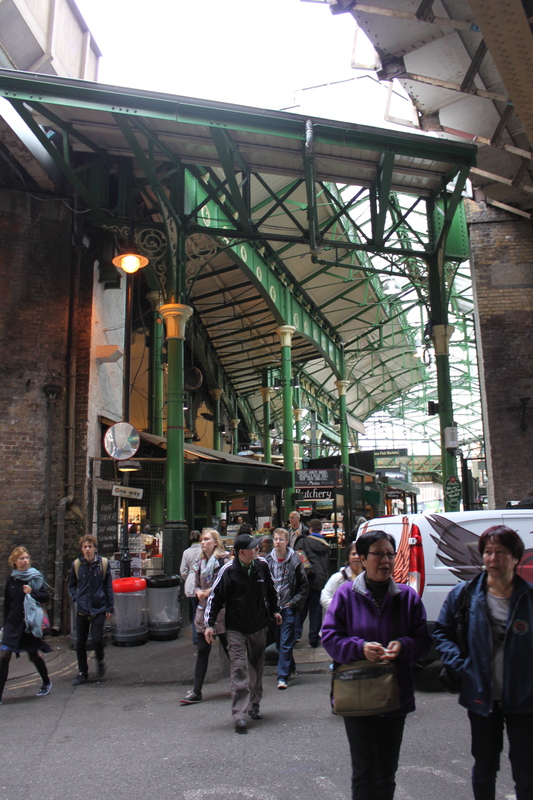 London’s Borough Market sits on the south end of the London Bridge at Southwark Street & Borough High Street. We headed there one day in search of good food, as always. 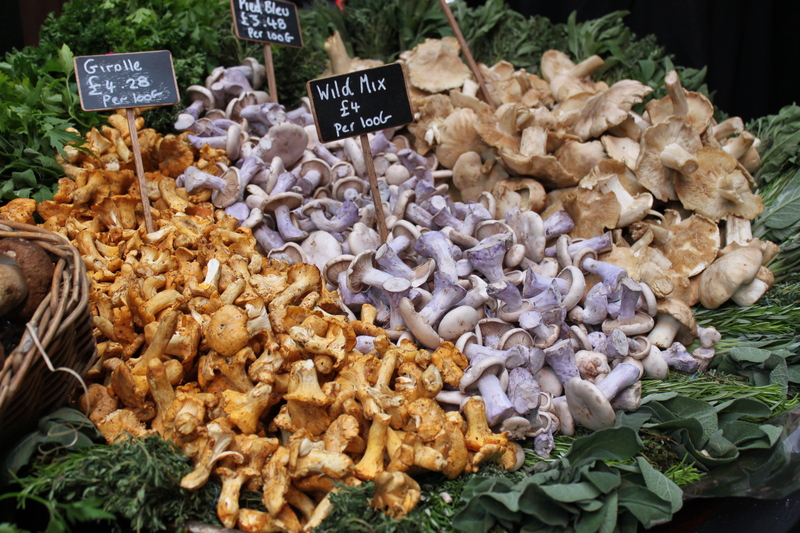 What we discovered was one of the best markets, if not the best food market, I have ever been to. 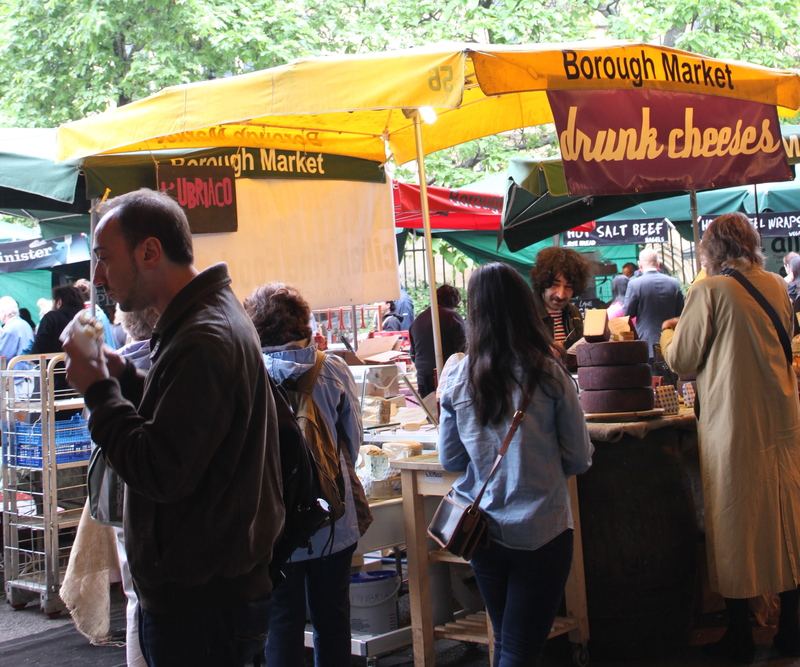 Selling a mix of produce and prepared foods, Borough Market has a delightful range of food to munch on and buy to make munchies of. The selection reminded me a lot of San Francisco’s own Ferry Building Farmers Market, but the space (in a large, open but covered space) reminded me of a cleaner, more-gourmet version of Barcelona’s La Boqueria. By the time we left the market, we were overwhelmingly full. Our stomachs were filled with some of the most delicious food items London has to offer. 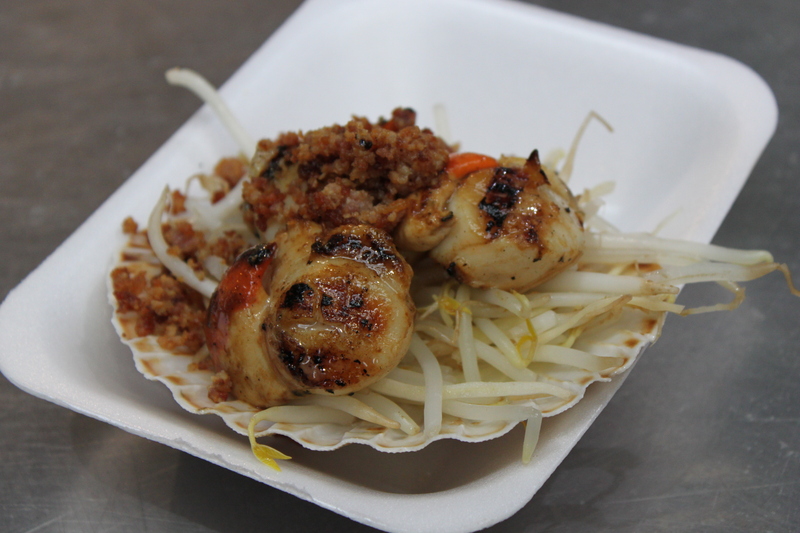 Next we tried the scallops with bacon (on a bed of bean sprouts, yes) from Shell Seekers, which we’re fresh and therefore tasty, but definitely not mind-blowing. We also tried the pork belly sandwich from Roast. Though pork belly has been declared as oh-so passé by now in the food world (at least in my San Franciscan mind), I can never resist a well-prepared and accompanied piece of pork belly. This pork belly was paired with chewy, flavor-filled crackling and Bramley apple sauce. 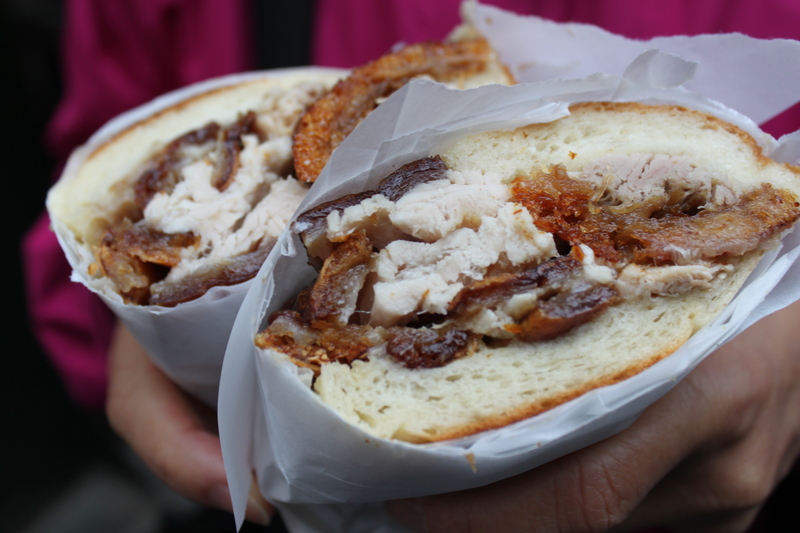 The crackling was a delightful surprise, and it’s flavor and texture went deliciously with the soft, moist pork belly in the sandwich. After a while, however, most of the crackling was stuck in my teeth. Still, this pork belly sandwich, with its perfect balance of salé and sucre, ranks among my top favorite sandwiches ever. 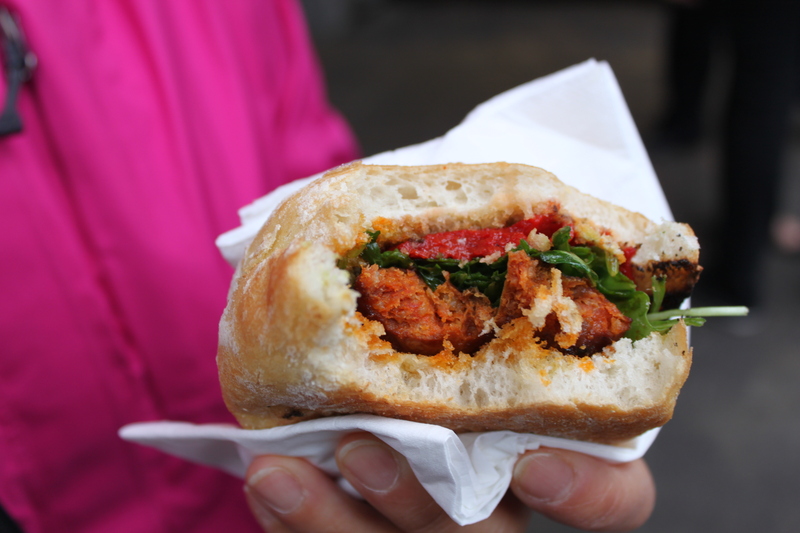 Some of the food items we didn’t get to try (though we were recommended them and wanted to, our stomachs simply wouldn’t let us) included the duck confit sandwich from Le Marché du Quartier and handmade pasta from La Tua Pasta. 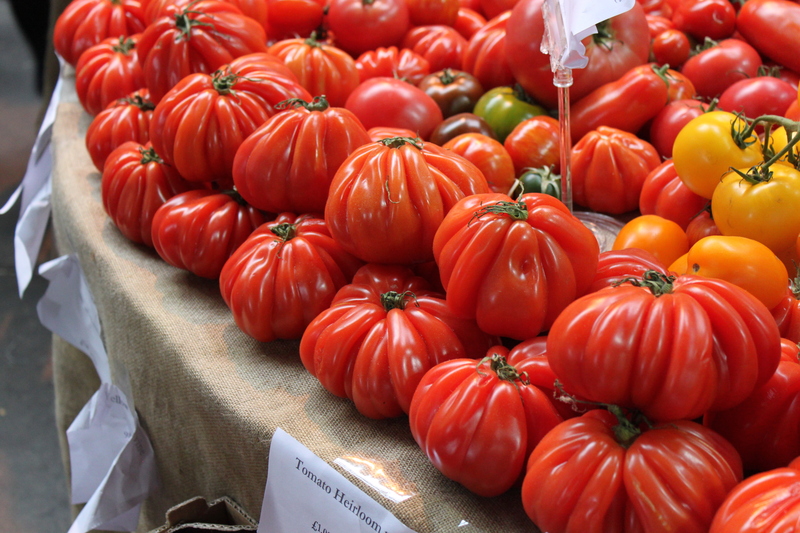 We’ll have to return to London and the Borough Market to try those. 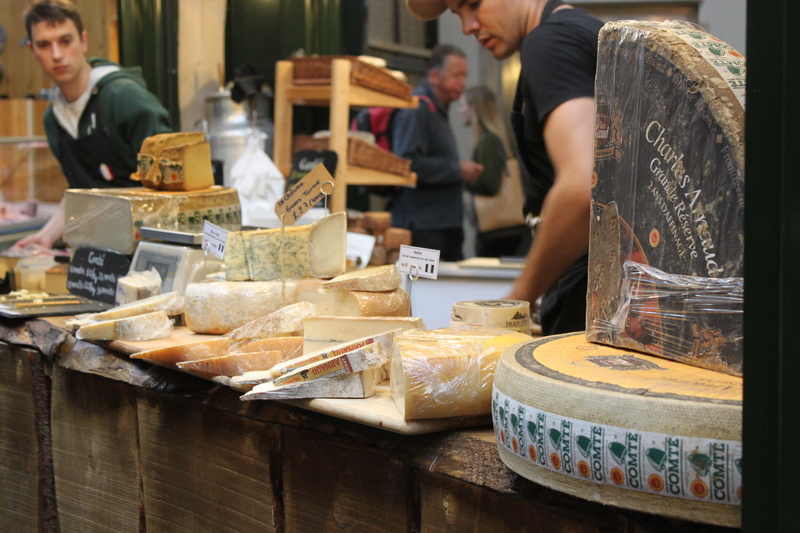 Any excuse to return to paradise, aka the Borough Market.